Russian President Vladimir Putin saved the country from falling apart, former Soviet leader Mikhail Gorbachev said during the presentation of his new book 'After the Kremlin.' 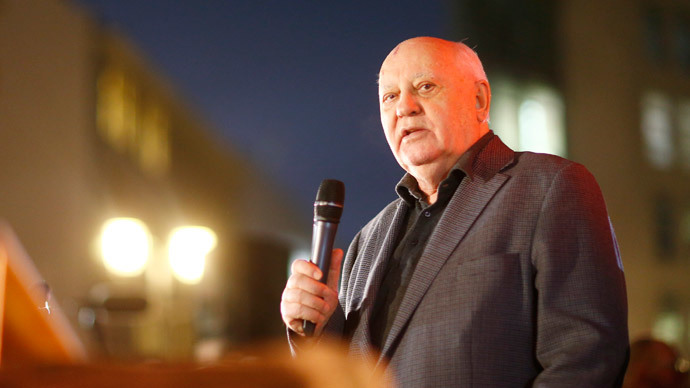 Gorbachev also commented on the situation in Ukraine and NATO expansion. “I think all of us – Russian citizens – must remember that [Putin] saved Russia from the beginning of a collapse. A lot of the regions did not recognize our constitution. 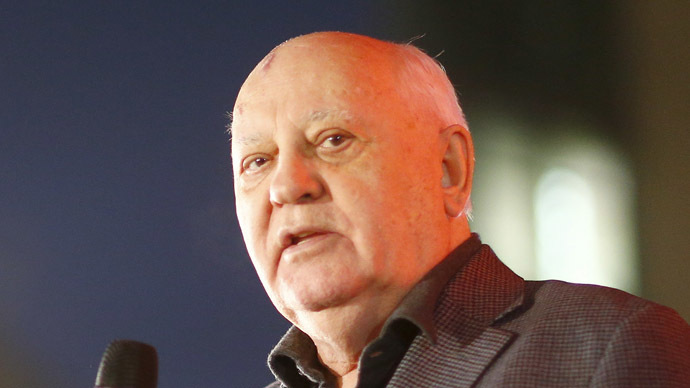 There were over a hundred local constitutional variations from that of the Russian constitution,” RIA Novosti quoted Gorbachev as saying on Friday. Gorbachev remarked that he knew the Russian president before Putin took office, describing him as having good judgment and discipline. Commenting on the situation in Ukraine, the ex-Soviet president said the armed stand-off must be immediately stopped and both sides need to come to the negotiating table. “All of us are concerned by what is happening in Ukraine – politicians and the public. And the fact that our government is supporting the people who are in trouble there, no matter how hard things are at home, it is what always distinguished us,” Gorbachev said, stressing that the conflict cannot be solved through violence. Gorbachev also noted that influential American and European politicians need to speak out against the worsening of international ties, adding that many of his old colleagues are seeing the first signs of a new Cold War and understand how crucial it is to calm things down. In terms of Russia’s worries over NATO’s expansion, Gorbachev agrees that the US is playing a key role in the process. “[NATO] began to establish bases around the world...I think the president is mostly right when drawing the attention to the special responsibility the US has,” Gorbachev said. While discussing his own mistakes, Gorbachev admitted he was “presumptuous” at times, believing he had everything under control. Mikhail Gorbachev served as general secretary of the Communist Party of the Soviet Union from 1985 until 1991, and as the USSR's only president from 1988. He led controversial perestroika reforms that are believed to have accelerated the dissolution of the Soviet Union. Gorbachev’s rule was also marked by the warming of relations with the West.